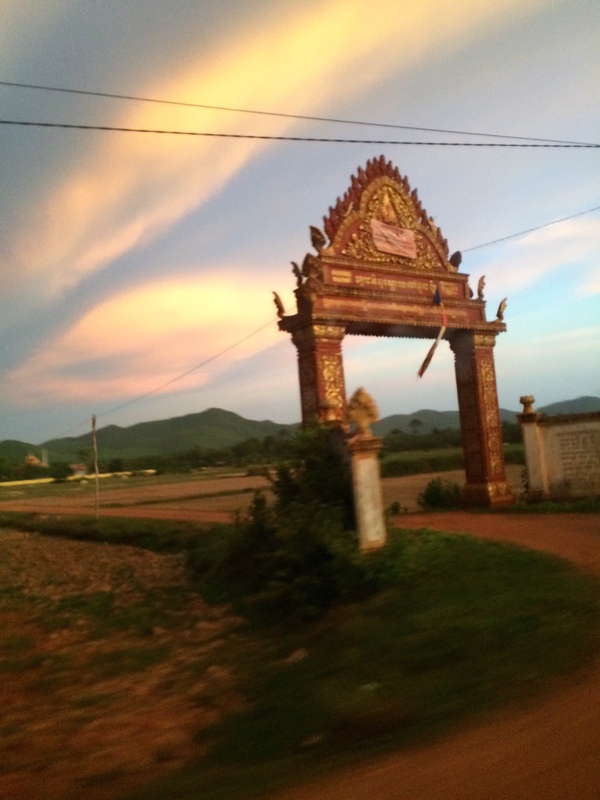 My time in Cambodia is down to the last three days. I begin the journey home tomorrow. As I think back on the past two months, I am realizing that there is so much I have learned. From contentment to hard work, God is steadily teaching me wonderful things about himself, me, and the world. The past few weeks have been a time of growth and learning.. and fun! I’ve been able to form stronger relationships with some of the students and learn more about who they are. One evening, while teaching the advanced english class, I was able to see a side that I hadn’t yet seen. We were going through a bible english book and the question was asked, “are you leading your family to Jesus?” One (very outgoing) student spoke up and said, “no”. I gave him a strange look and asked why he wasn’t. When I asked, Another student chimed in and said, “Afraid”. To that, I replied, “afraid of who?” Then a third student spoke up and said, “afraid of my parents.” I was very taken aback; so I turned to the whole class and asked the question, “is everyone afraid of their parents?” Multiple students shouted, “YES!” I paused for a few seconds, very surprised at what I had just heard. Before then, I did not realize how real the verbal persecution for being a christian is for these kids. Their families are not okay with them being christians, yet they are still faithful and come to church week in and week out. It is so so beautiful and encouraging to see and think about. On a lighter note, we took a trip to the mountain this past Sunday! It was so much fun! There is a banana farm on the side of the mountain that we hiked to. 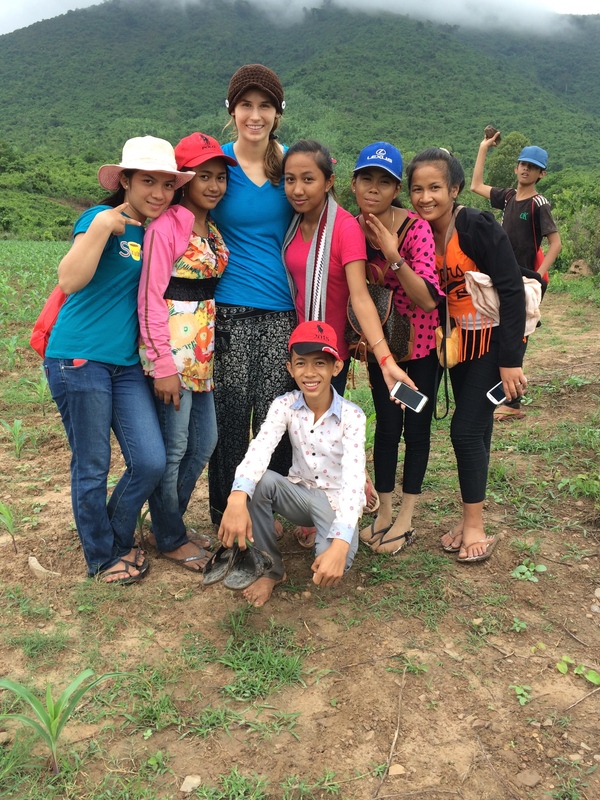 Many of the students came and we all rode motos to the base of the mountain and hiked up. The students love going to the mountain and I thoroughly enjoyed it myself. A very special characteristic of the kids is that they are very caring for one another and for others. On our way to the mountain, one of the girls lost her shoe… So in order for her to get up the mountain, another student carried her on her back all the way up (it was not an easy trek). I volunteered to carry her down but failed at my duty and slipped on a rock, so a different student stepped in and carried her all the way back down the mountain (an even harder trek because the rocks were slippery and we had gravity working against us)! Witnessing this self-sacrificing kindness and generosity was truly indescribable. I’ve found that most people I have had the pleasure of coming in contact with have these same attributes. They will give freely… whether it’s a chair, their time, or their food. 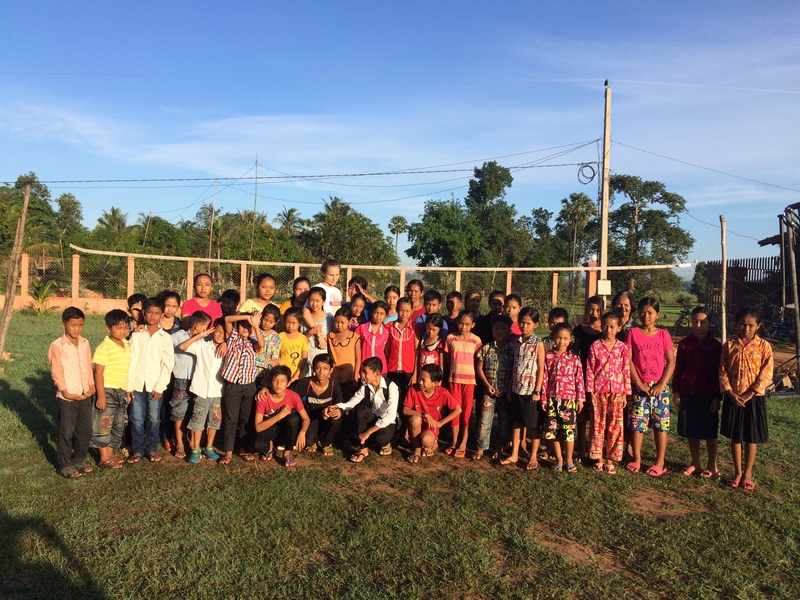 Generosity is something that I have learned from the people of Angk’jeay. Our trip to the mountain! On the way to the mountain.. They can fit so many people on one moto. It’s amazing to watch. 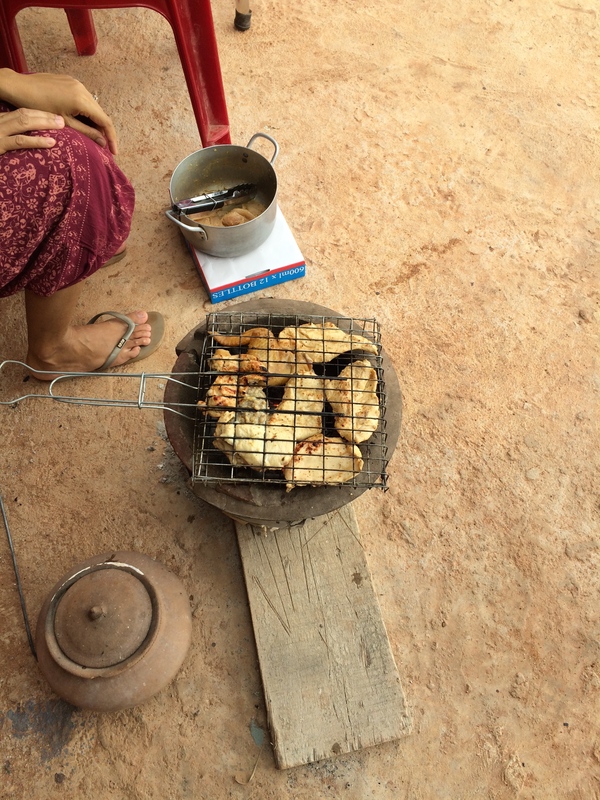 We are also able to take a quick 24 hour trip to Kep (the beach) a few weeks ago. It was such a great trip! 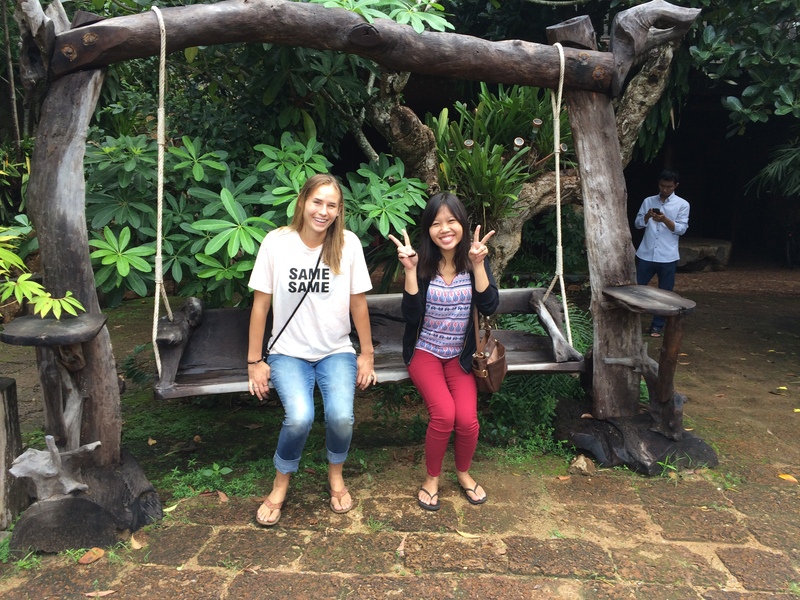 Reaksmey and I in Kep! The students came to send me off this morning as we left the village! I received so many caring notes and letters! Sokha was wonderful in teaching me how to crochet(among other valuable lessons that I learned from her)! I was able to crochet a headband, a hat, and a dishcloth! God’s strength is truly made perfect in my weakness. (2 Corinthians 12:9) I have been blessed to be able to see the depth of God’s strength when I am weak and only have him to turn to. We need not to be anxious. (Matthew 6:25-26) Why? God will take care of everything. Pray about all things. (Philippians 4:6) When I have needed strength, when I have been totally weak, God provided. Needless to say, I am still processing my time here and thinking about all the things I have learned and how to apply them in my life. 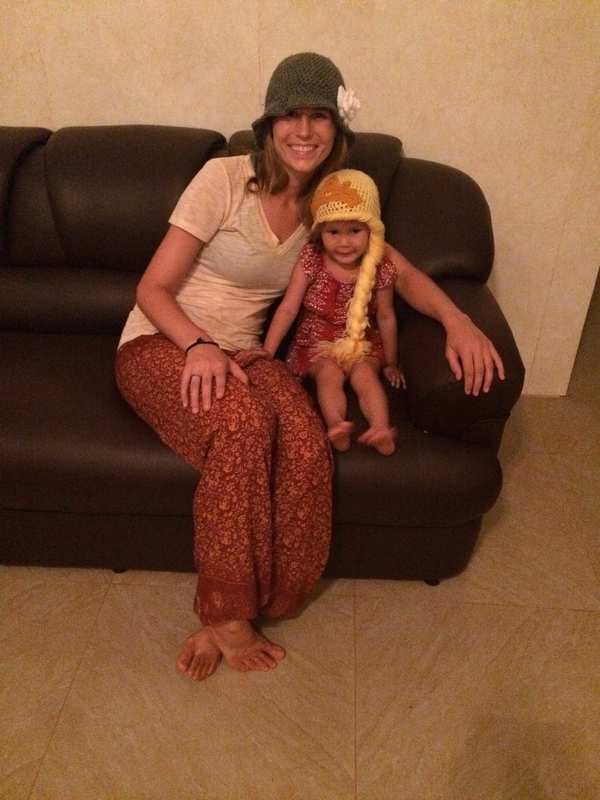 I am so grateful for my time in Cambodia. It has been so different than I could have ever imagined and for that, I am very thankful. Me as I transition back into the states and figure out what to do with what I have learned. 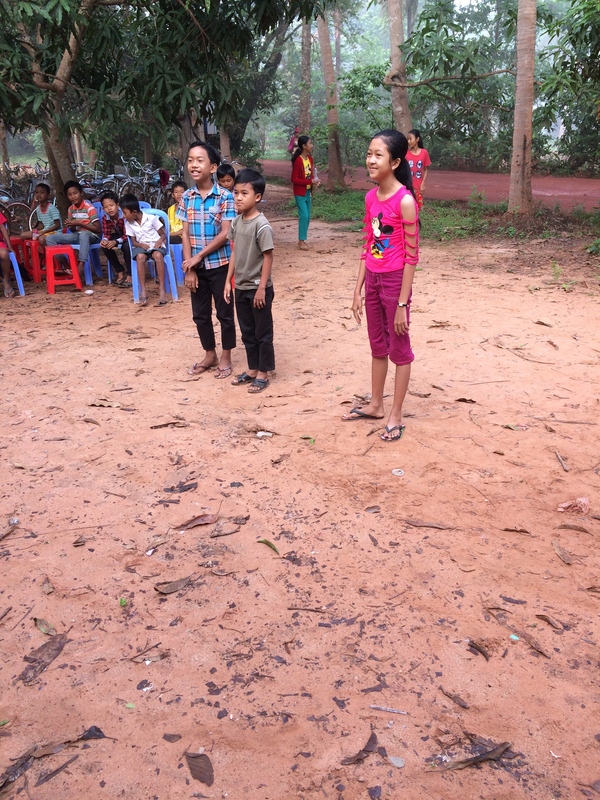 Luke, Sokha, and Hannah as they continue their english teaching ministry in the village of Angk’jeay. All the other MTW interns around the world as we travel back to the US for debrief. Thank you so much for praying for me, thinking of me, and supporting me! 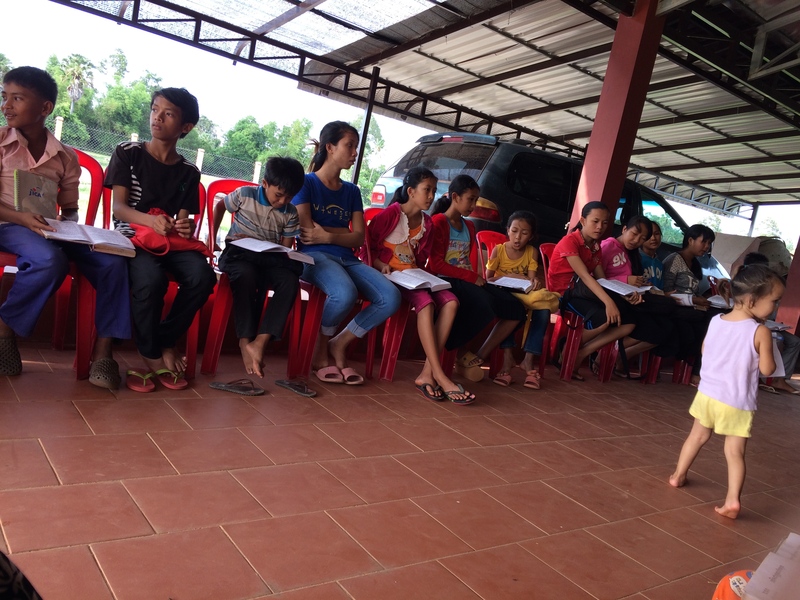 Cambodia: Planting Churches That Transform Communities from MTW on Vimeo. 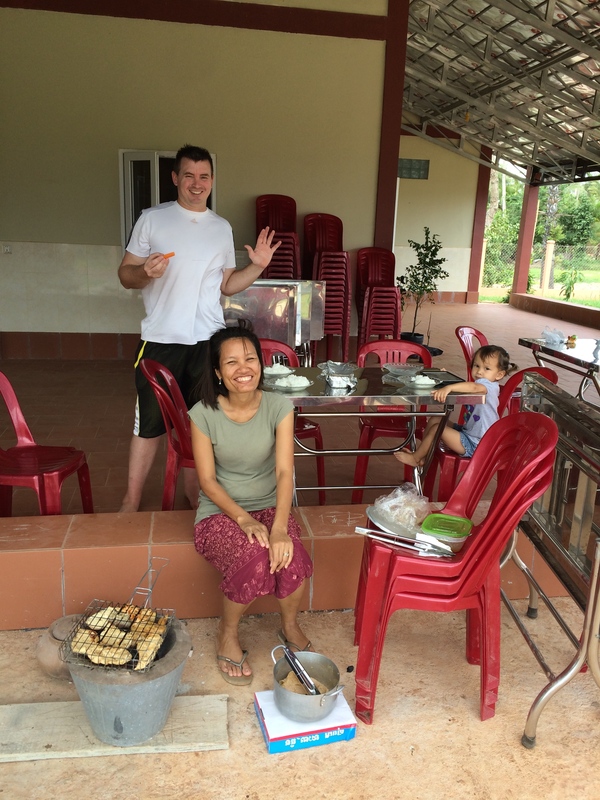 Today, here at the Smith’s home in Angk’jeay Village, we celebrated America’s independence day with a good, old fashioned cook out! 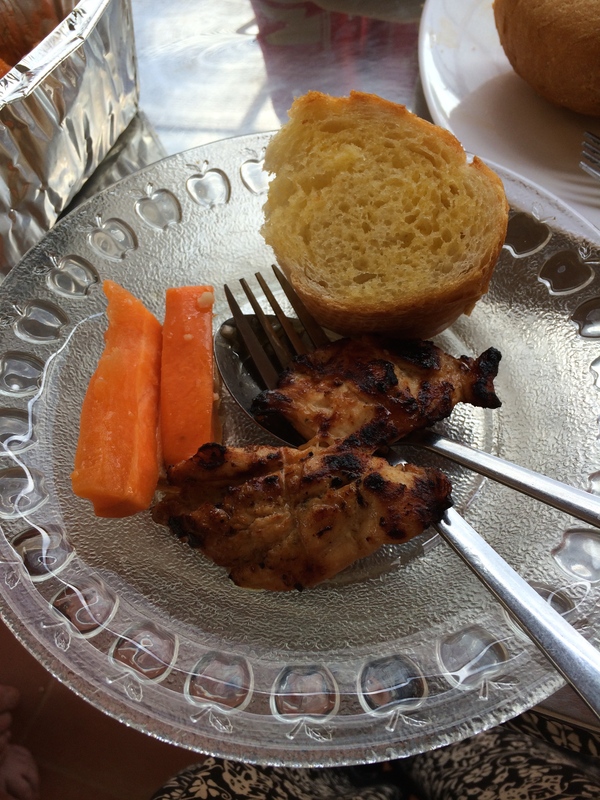 Sokha grilled some chicken on an open flamed grill, and let me just tell you… it was some of the best chicken I’ve ever tasted. She marinated it with soy sauce, garlic, and some other really special ingredients that I cannot remember right now, but it was wonderful! Luke also cooked some potatoes that were delicious, along with carrots and bread! I couldn’t have enjoyed the meal any more than I did. 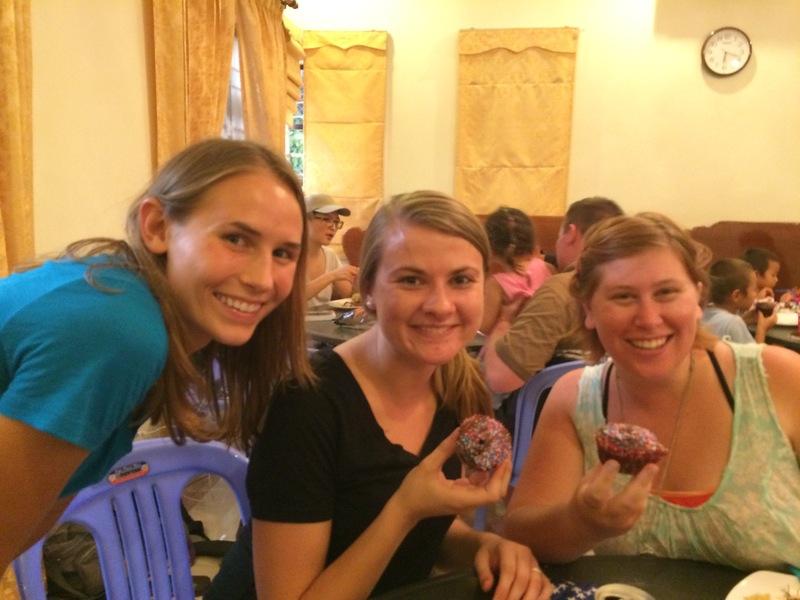 It was just what I needed to celebrate Fourth of July in Cambodia! I also taught the bible class on John the Baptist today! We are going through a really helpful and simplified book (because they are learning about the bible as well as english). On Saturdays, after the bible class/ guitar lessons, they have a Kmer bible study. It is kind of cool because what they have been studying the past few weeks goes over the death of John the Baptist, so it correlates to the bible class that I am teaching. I’m pretty sure that was not planned intentionally.. by us at least. It is always fun to see the ways God works. 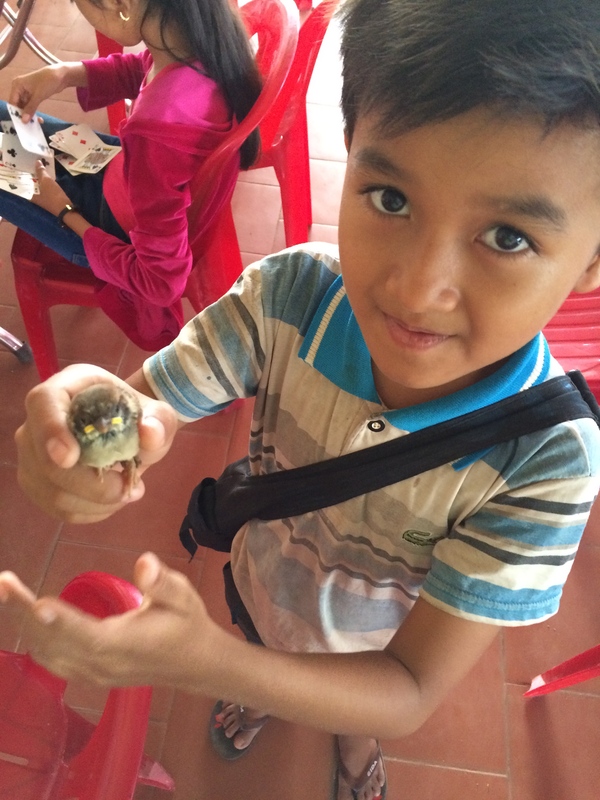 On a lighter note, yesterday one of the students found a baby bird and picked it up for me to see. The bird was so cute. Although, there are birds everywhere around the house and they constantly poop so other people don’t really think they are as cute as I do. We went to the city this week for the team meeting/worship/dinner together. 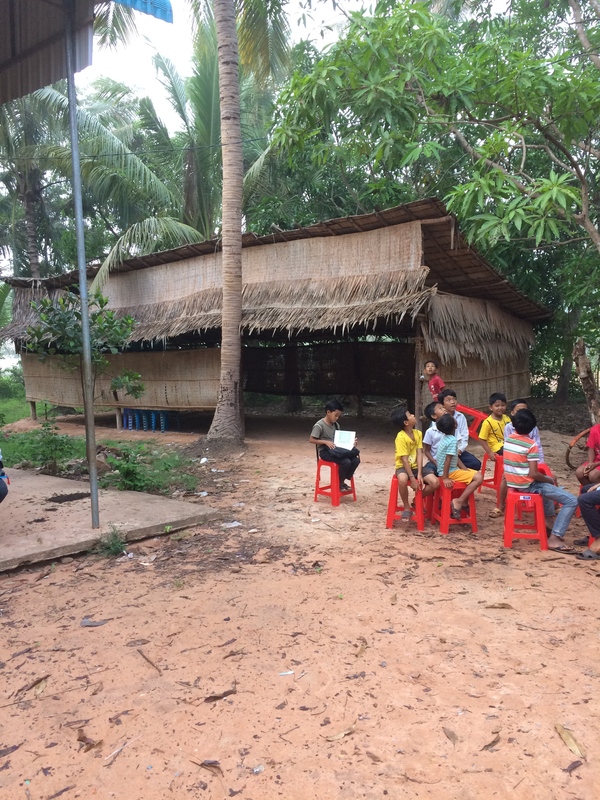 The team meeting is once a month and all the MTW missionaries who are serving in Cambodia come together to worship and fellowship. So, for this meeting, we were able to celebrate the Fourth of July by having a cookout/ potluck dinner. There was Korean Barbecue (soo delicious), fruit (not the fruit you’re thinking of), spaghetti, and potato salad, among other things. It was a great celebration! The Fourth of July celebration at the team dinner. 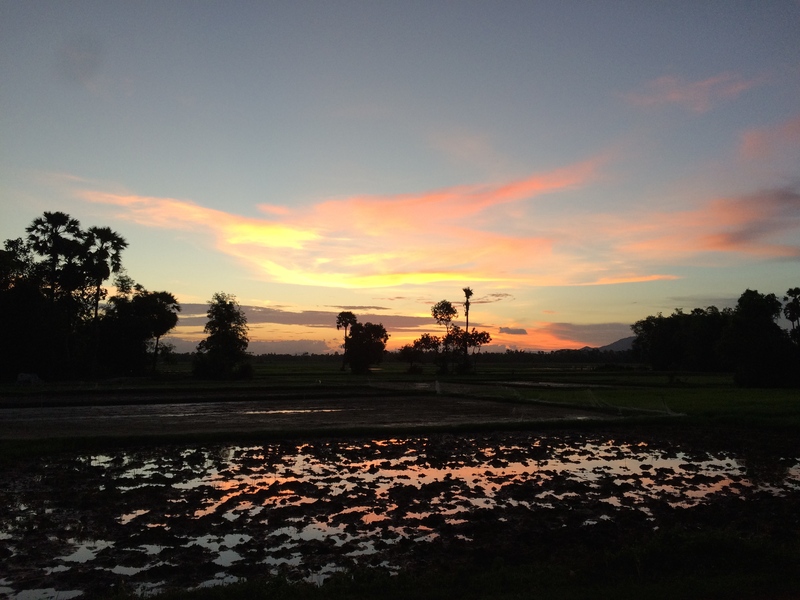 I have three weeks left here in Cambodia! Thank you so much for supporting me, praying for me, and thinking about me. I can feel your prayers and am learning so much! One of the things being… anxiousness is not worth it. We have no reason to worry about tomorrow. Hey everyone and Happy premature Fourth of July! 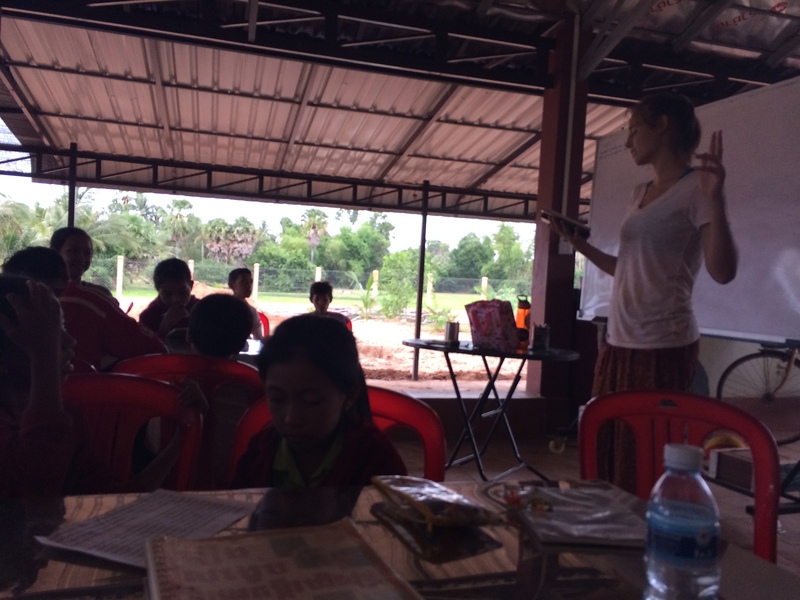 It’s hard to believe that a month of my time in Cambodia is already gone. I only have about three more weeks in the village and the days are coming and going quickly. Since I last updated, I have started teaching english/bible classes on my own. In the bible class, we are going through a book on John the Baptist. The students love reading out loud and playing games with new words they learn from the book (I have a lot of fun watching them play the games too). They seem to be really enjoying it and I have had so much fun teaching the class as well! I must say, I think teaching has taught me more than the students are probably learning. 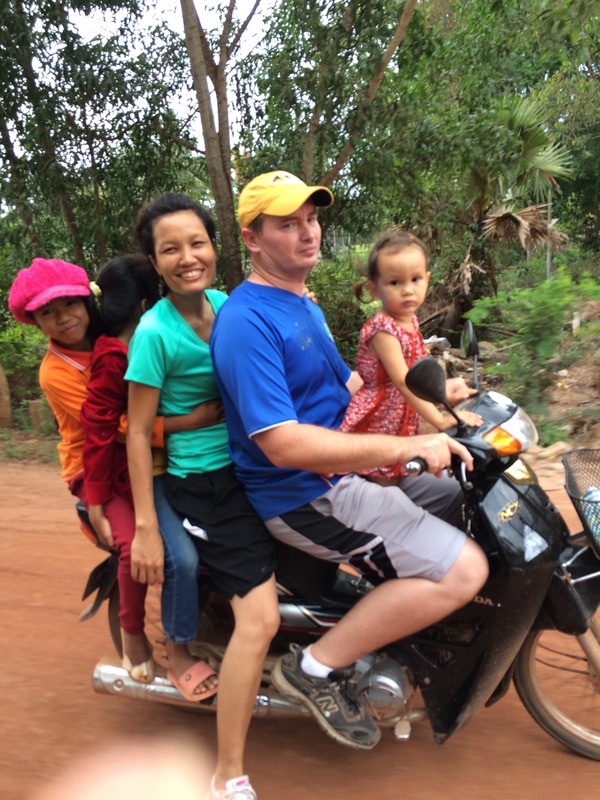 The church in the village is very close to Luke and Sokha’s home. I usually just walk there on Sunday mornings. Sunday school for the younger students starts around 7 am, and they usually play a few games before it starts. They are so excited about it every week and the amount of students that come is very encouraging. Persecution for being a christian comes in the form of verbal abuse. The children’s families often do not like the fact that they are going to a christian church and are involved in a christian ministry. Therefore, it is extremely encouraging and inspiring to see the children come to church and classes faithfully each week. Since being in the village, I have learned many things. One of which is how to crochet. 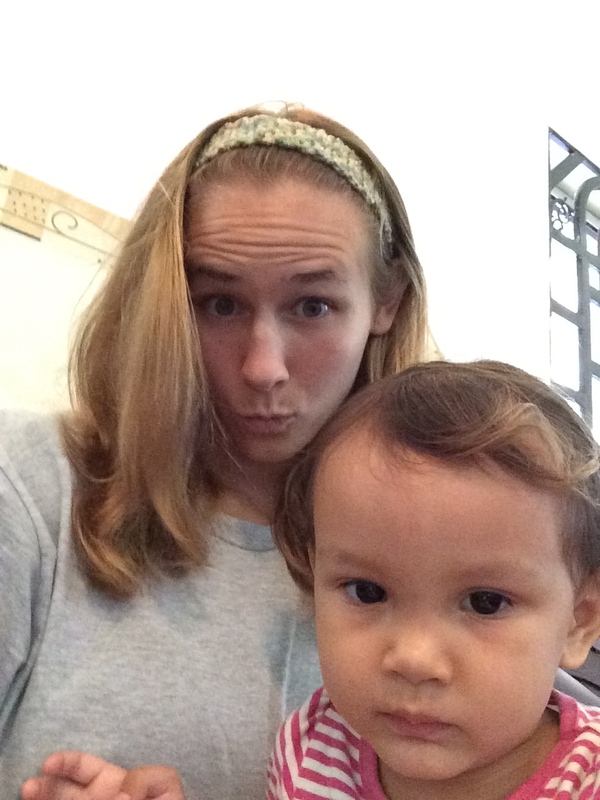 Sokha is teaching me and I have already successfully made a headband! 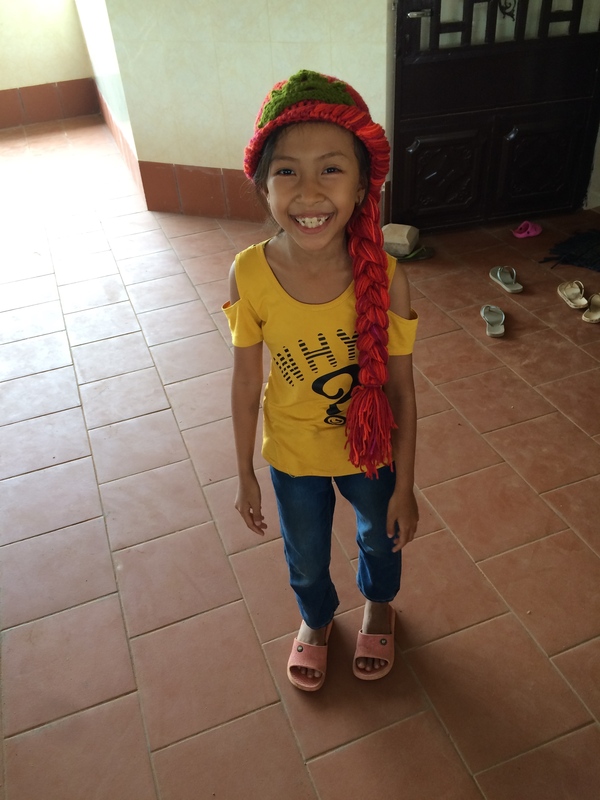 Sokha has an outreach program in teaching some of the students how to crochet. Many of them have made Elsa hats from the movie “Frozen”. I’m thankful that she is teaching me; I’m working on crocheting a hat right now! Hannah and I hanging out. This is the headband that I crocheted. Probably one of my favorite things each day is singing hymns at night and praying together with Luke, Sokha, and Hannah. There is something so so sweet about singing hymns together. I can’t think of a better way to end each day. Luke and Sokha have made it feel like home for me, honestly. I am so thankful for them, and am learning from them every day. 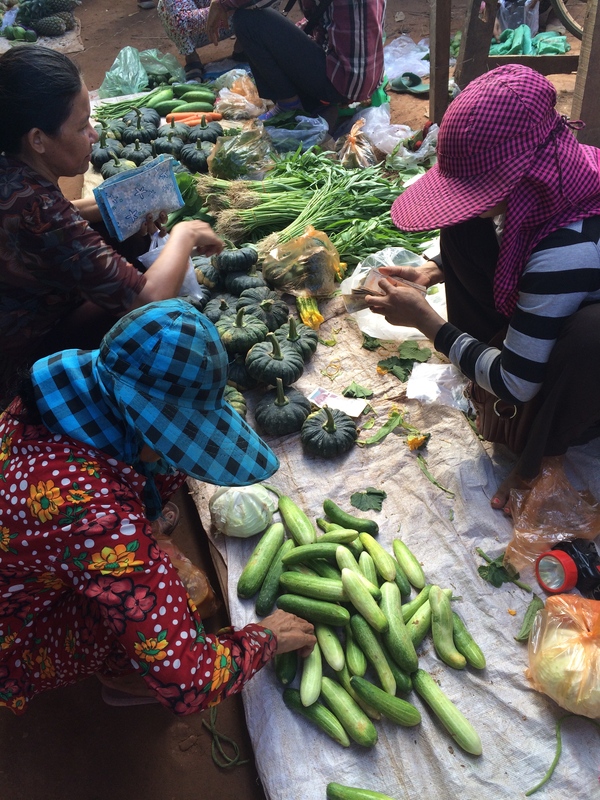 Sokha took me to the market in the village one morning this week to get a few things. It’s very cool to see how fresh all the food is! Our trip to the market in the village. Fresh veggies everywhere!!! God is continually teaching me how to be content in every situation, how to be patient when it is hard, and how to have acceptance of His perfect plan. The sunset gave us a warm goodbye as we left the village for the city last night! 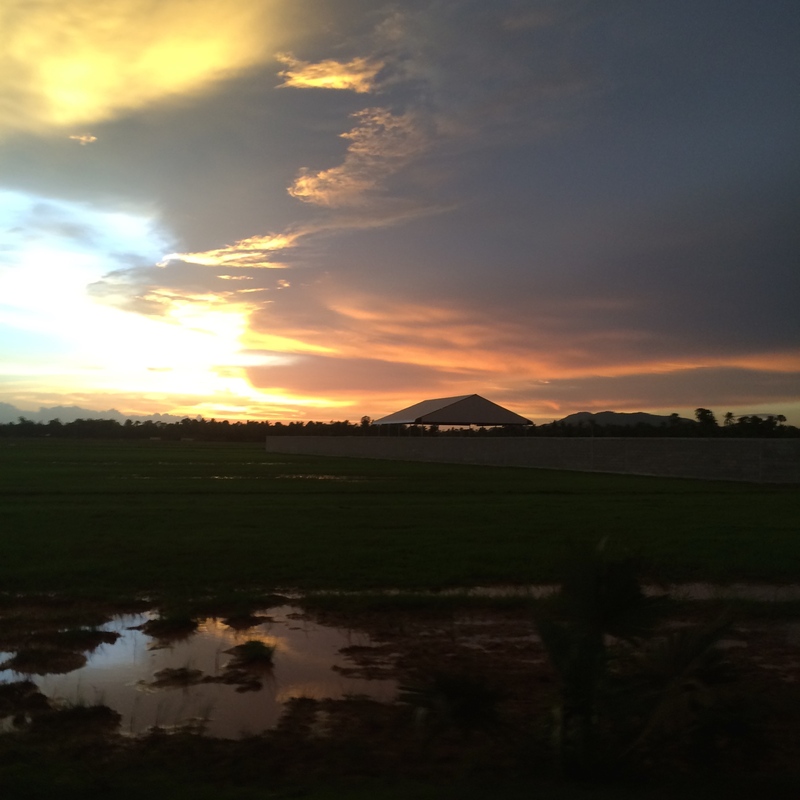 A flooded rice field adds a little beauty to an already gorgeous sunset.